Q.2 Identify the critical path on the network diagram. Briefly explain the significance of the critical path. Calculate the duration of the project and its finish date. There are total numbers of 87 working days required to complete the project. There are no weekly holidays. 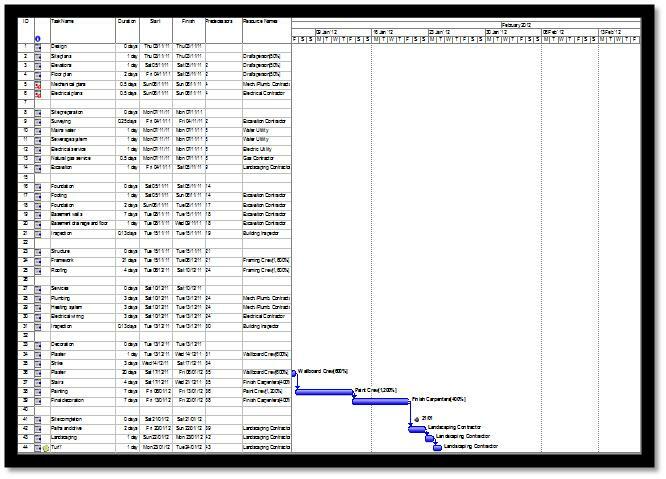 Total numbers of days are lesser than the total given in the table above because a lot of tasks overlap each other. The end date of the project is 28/01/2012. Q.3 what is the impact on the duration and finish date of the project if the task duration for “Painting” is one week? By reducing the painting work duration from 2 weeks to 1 week paint crew works will be doubled and the end date of the project will reduce by 7 days to Sat 21/01/12. 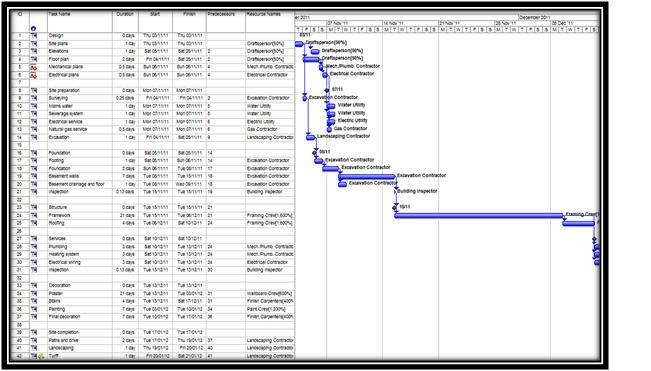 Note: As per the defined days in the tasks the project is estimated to be completed on 28/01/12. It is not possible to finish on the deadline given of 02/01/12. By reducing the number of framing crew workers from 16 to 12, the number of days for the Roofing task increase from 4 to 5.33 and Framework increases from 21 to 28 days but the because of overlapping of task to each other work duration of over tasks of Plumbing, Heating system and Electrical wiring to some extent and number of total days increase is 3. The project completion date extends from 21/01/12to 24/01/12 after the number of workers for painting were increased. Q.6 the “Inspection” work of services phase must start no earlier than 20.12.2011 due to limited availability of building inspectors. Assess the impact of this change. By starting the inspection of service face on 20/12/2011 instead of 13/12/11 the project date extends to one week to 28/01/12. There was no use of reducing the painting duration the end date of project comes back. Q.7 your manager has asked you for some specific cost information. He has to investigate where cost-savings might be made. 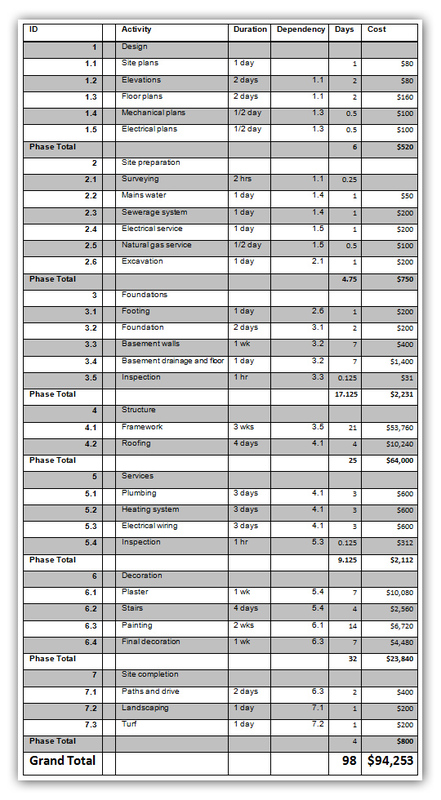 Produce a cost breakdown of the project and suggest areas for cost saving. The area of cost saving is decoration where we are spending a lot of money. Q.8 For the latest project plan, the first day of plastering was completed, and then a strike by contractors delayed the completion of work on that task for 3 days. 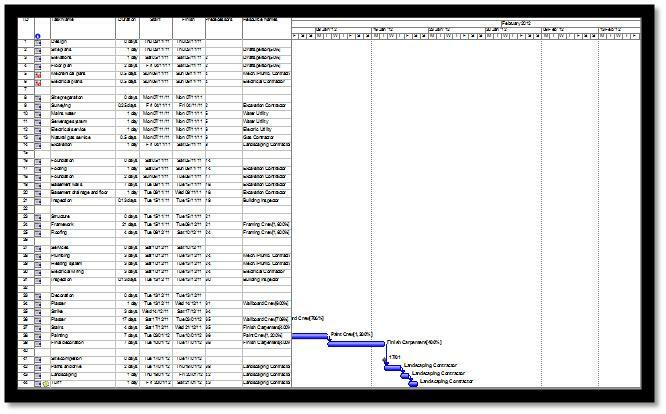 Examine the effects of this interrupted task on the project plan. The 3 days of strike affected the project completion date to extend 3 days to the Tue 24/01/12. After the paint session was already reduced. Q.9 David Lodge Construction Ltd does not want the finish date of the project to be affected by the delay caused by the strike. 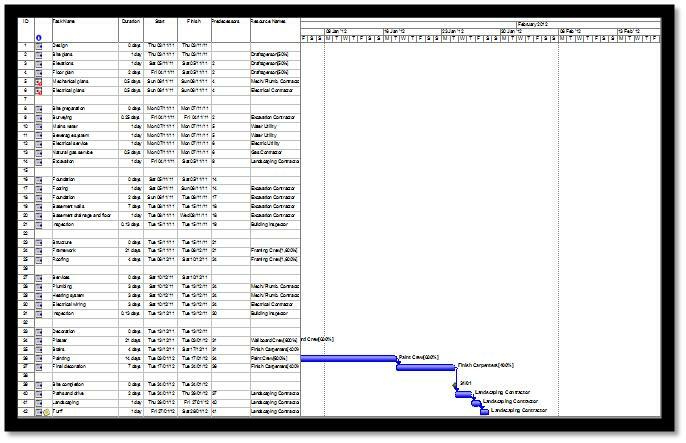 What could you, as the project manager, do to keep the finish date of the project from slipping? 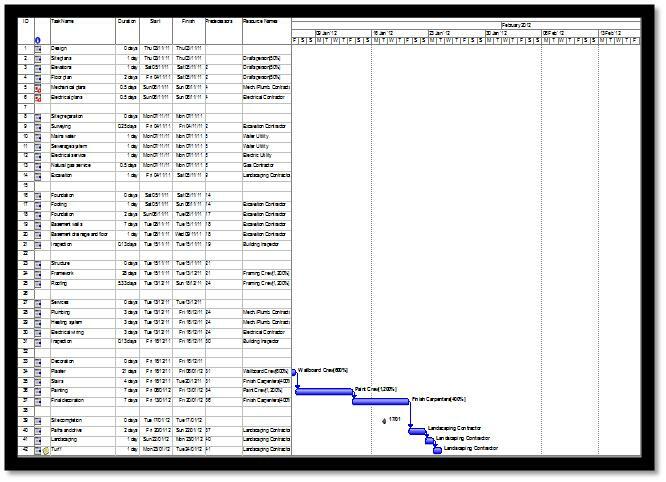 To handle this situation we increase the work of Wallboard Crew to get the remaining work of 20 days in 17 days. 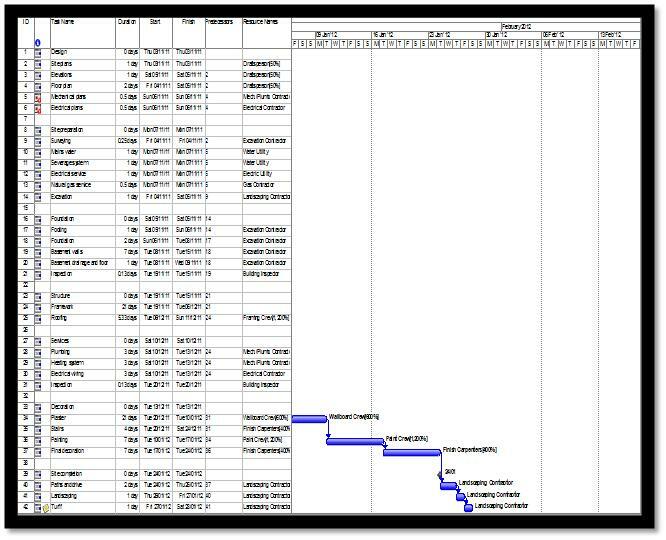 By doing this the units of Wallboard Crew increases 706% in the mentioned 17 days from 600% and the project date comes back to 21/01/2012.